It's been a little difficult to get back in the swing of things around here. I find myself online looking for design inspiration but all I can do is read about the bombings, the lock down, the suspects, the survivors, those lost and the heroes. I still can't believe someone did this to MY city. 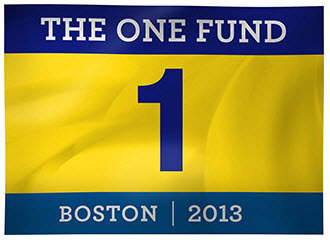 But I will say this, having been though the past week makes me even more excited for Marathon Monday next year. You better believe I will be on those sidelines once again, screaming as loud as I can and I won't let anyone take that away from me. Not even two cowards who tried to ruin it this year. All they did was make this city stronger, prouder and closer than ever. In the words of Big Papi, this is our *&#$%@ city! hope all is well and glad you're okay. hoping to get up to boston in may for a visit. maybe we can get together! I'm from Canada and have been to Boston once, stayed at the Lenox Hotel. The city is so beautiful along with the people who live there. I too have been glued to the news, the stories the people and there strength and I will definitely be back to visit again one day. My heart has been feeling so sad but knowing how Boston has been so strong, gives me faith. I wear the rose quartz necklace you gave me a few years ago...to keep my heart full of love, It does the trick. I'm with you. I lived in Coolidge Corner for years before I moved down to Charlottesville, VA. Marathon Monday and July 4th were my favorite days of the year in Boston. Writing about paint and furniture just hasn't seemed important lately. I definitely appreciate other bloggers for writing regularly and giving me a little something to look at when I need a little inspiration. We will be okay. Heck, we will be awesome. We're Boston, after all! We just need a little time to regroup. yay! I'll be right there with you!